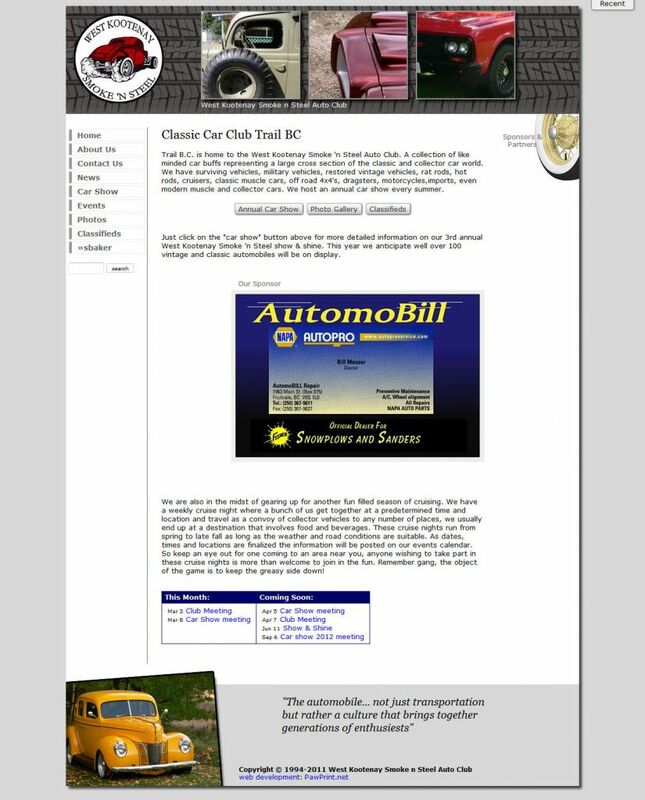 With little money and a need for a comprehensive web site that would suite a small organization the West Kootenay Smoke n Steel Car Club turned to PawPrint for a site that would fit their needs and budget. From their new site "Trail B.C. 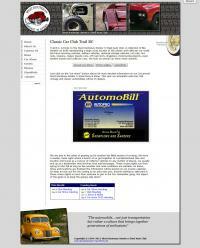 is home to the West Kootenay Smoke ´n Steel Auto Club. A collection of like minded car buffs representing a large cross section of the classic and collector car world." The site used an existing design that PawPrint had created some years ago for a different car club, but with updated coding and some nicer elements. That combined with all the new features in the XDe has resulted in a very practical site that looks great for an extremely modest cost. Because of the existing design and easy deployment of the XDe the entire project was completed in just over 1 week. Their new site features a member forum, photo gallery, rotating banner photos, member classifieds, news, and events system with social media integration and all the standard PawPrint XDe core features.